Does any dish distill the ingredients of a destination and capture it so perfectly like a fresh-out-of-the oven pizza? Seasonal sprinklings on top channel the essence of nearby farms, while cured meats and toasted veggies speak to an artisan craft. Whether you like your pizza rich and cheesy or thin and saucy, these Vancouver pie purveyors all offer a slice of local life. A longtime Uptown Village staple, Vancouver Pizza Company specializes in doughy, topping-rich pizzas served in a family-friendly setting. The specialty pizzas all take their names from renowned artists (try The Raphael or The Vivaldi), which matches the classical art throughout the space. For fans of cheesy deliciousness, the breadsticks never disappoint. The pizza at Nonavo has a saucy attitude that stands out in the restaurant’s minimalist yet welcoming downtown space. Grab a 12-inch Neapolitan pie artfully arranged with hand-foraged ingredients on dough made fresh from scratch daily. Get there early because once the dough is gone, it’s gone! toasted pine nuts, and parsnip purée) add flair to Mt. Tabor’s pub in Felida. 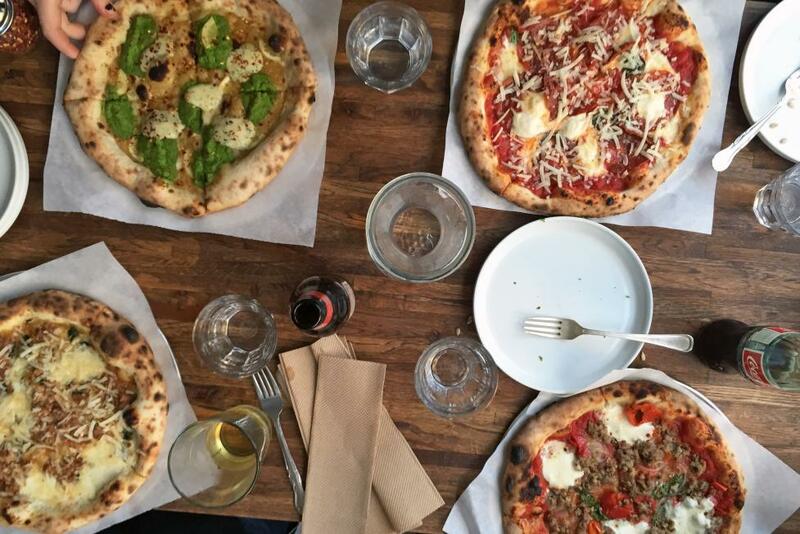 Of course, pizza pairs perfectly with house-made pours from Vancouver’s longest-running local brewery. Rally’s pies are playful, seasonal, and lovingly crafted. Expect thin, lightly charred crusts topped with bountiful local produce and accompanied by roasted veggies, creamy frozen custards, and well-balanced cocktails. Visit on Mondays for all day happy hour, or reserve a spot at one of the reoccurring themed Sunday dinners. Don’t let this food cart’s unassuming location outside Brothers Cascadia in Hazel Dell fool you—Pizzeria La Sorrentina dishes out some of the most authentic wood-fire, oven-blistered pizzas this side of the Mediterranean. For less than $10, the classic margherita will temporarily transport your taste buds to Italy. Accolades include a recent 6th place finish in the Pizza Napoletana category at the International Pizza Expo in Las Vegas.